Trying to put more fish into your life? 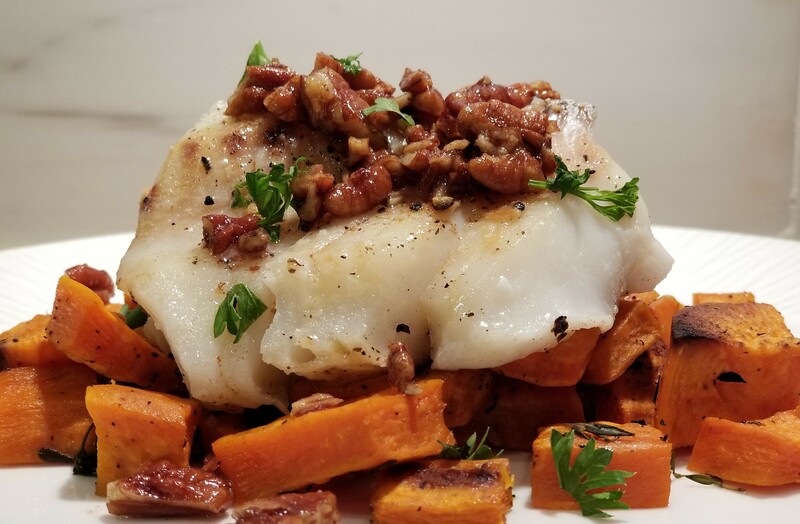 Try this Super Easy, Quick and Yummy Cod Fish w/Pecans & Brown Butter over Roasted Sweet Potato Hash…It’s also a great way to re purpose your leftover roasted veggies. Sprinkle with salt, pepper, and thyme and coat with 1 tbsp of olive oil making sure that all of the potatos are lightly coated.